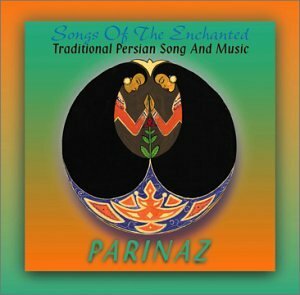 The traditional sounds of Persia come to life on the new CD composed, arranged and performed by Kamil Alipour entitled "Moon Dance". Classical Persian music is an ancient art form who's integrity and character must be preserved by those who have lived and breathed its essence for a great number of years; Kamil Alipour is one such musician. He displays remarkable skill and versatility on both Taar (a six stringed instrument with a sheep skin sound board, two resonance chambers and 27 moveable frets) and Se-Taar (a three stringed instrument with a wooden sound board and a single resonance chamber). The deft touch of Kamil Alipour results in a beautiful music that is not only logical and technical, but highly emotional and spiritual as well; it is a delight to experience. Classical Persian music is an ancient art form. Its roots can be traced back to the flourishing cultural germination that took place under the Parthian (349 B.C.-226 A.D.) and Sassanid (226-651 A.D.) dynasties. This music is organized into seven scales and modes, called Dastgaahs with five smaller sub-sets to these scales, called Aavaaz. Each of these scales require specific emotional considerations exemplified by special melodic patterns called Gushes (pronounced goo-sheh). Spontaneous emotive improvisation is at the heart of this art form but must adhere to the paths governed by the Gushes. At first this may sound constricting for the musician yet there are approximately 250 different Gushes distributed among the seven Dastgaahs, creating a myriad of possibilities. Presently, the integrity and character of this precious and antiquitous music must be preserved by those who have lived and breathed its essence for a great number of years; a time requirement that encompasses most of their lives. Kamil Alipour is such a musician. He began studying the Taar at the Tehran Academy of Music, under the guidance of Ustaad (master) Ali-Akbar Shahnaazi. 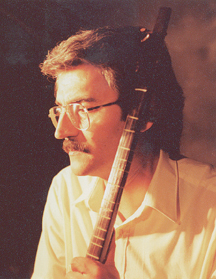 Later he attended Tehran University, where he expanded his knowledge of Persian classical music theory, while studying Setaar, Daff, and traditional singing techniques. He plays all the instruments found on this album, with the exception of the Zarb. He also has composed and arranged all of the music in this recording. Kamil Alipour shows adept versatility on, both, Taar and Setaar, creating beautiful solo improvisations, some of which took as much time to record as it takes you to listen. His music is technical as well as logical and emotional as well as spiritual. In short "a mere pleasure". Instrumentation: Tar, Persian Setar, Kamuncheh, Daf, Dunback. 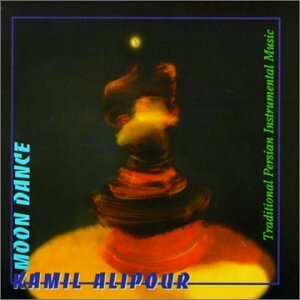 The traditional sounds of Persia come to life on the new CD composed, arranged and performed by Kamil Alipour entitled "Moon Dance". Classical Persian music is an ancient art form who's integrity and character must be preserved by those who have lived and breathed its essence for a great number of years; Kamil Alipour is one such musician. He displays remarkable skill and versatility on both Taar (a six stringed instrument with a sheep skin sound board, two resonance chambers and 27 moveable frets) and Se-taar (a three stringed instrument with a wooden sound board and a single resonance chamber). The deft touch of Kamil Alipour results in a beautiful music that is not only logical and technical, but highly emotional and spiritual as well; it is a delight to experience. Persian Instrumental Music based on the Sufi tradition of Jalaal Od-Deen Rumi, nourished by the mystical sounds of Taar, Se-Taar, Kamaantche, Daf and Dunbak. This music will take you to a spiritual journey in the realm of enlightenment. Classical Persian music is an ancient art form. Its roots can be traced back to the flourishing cultural germination that took place under the Parthian (349 B.C.-226 A.D.) and Sassanid (226-651 A.D.) dynasties. This music is organized into seven scales and modes, called Dastgaahs with five smaller sub-sets to these scales, called Aavaaz. Each of these scales require specific emotional considerations exemplified by special melodic patterns called Gushes (pronounced goo-sheh).Spontaneous emotive improvisation is at the heart of this art form but must adhere to the paths governed by the Gushes. At first this may sound constricting for the musician yet there are approximately 250 different Gushes distributed among the seven Dastgaahs, creating a myriad of possibilities. Presently, the integrity and character of this precious and antiquitous music must be preserved by those who have lived and breathed its essence for a great number of years; a time requirement that encompasses most of their lives. Kamil Alipour is such a musician. He began studying the Taar at the Tehran Academy of Music, under the guidance of Ustaad (master) Ali-Akbar Shahnaazi. Later he attended Tehran University, where he expanded his knowledge of Persian classical music theory, while studying Setaar, Daff, and traditional singing techniques. He plays all the instruments found on this album, with the exception of the Zarb. He also has composed and arranged all of the music in this recording. TAAR: A six (three double) stringed instrument made of a rare kind of mulberry wood with thin lamb skin stretched over twin resonating chamber. SE TAAR: Actually means three stringed, however, it has evolved into an instrument containing two doubled pairs and a single resonator string for a total of five strings DAF: A large, tambourin-shaped drum, with goat skin, stretched over its circumference and a deep, bassy resonance. Warning: All rights reserved. Unauthorized duplication is a violation of applicable law. This epic song was written and produced by Kamel Alipour with the vocals of several prominent Persian Artists and well known Persian Vocalists: Mahasti, Gloria Rohani, Shahla Sarshar, Shayesteh Zelli. 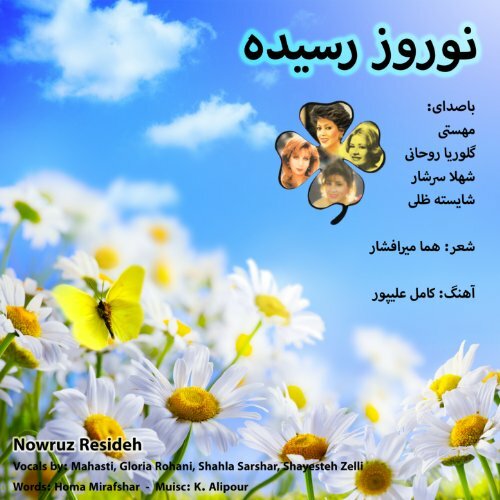 The lyrics, written by Homa Mirafshar, are about the tradition of the Persian New Year Ritual (Nowruz) with Spring inspirations. Persian New Year, which celebrated all over the world happens on March 21 (first day of Spring). Instrumentation: Vocals, Tar, Persian Setar, Kamuncheh, Daf, Tombak, Percussion.